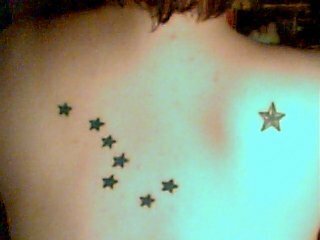 If you live in Alaska, you’ll no longer have to go south to Canada for a quality big dipper tattoo (I know that’s what you do. Don’t even lie). The Inked Monkey just opened this past weekend in south Anchorage – an “upscale custom tattoo shop” owned by local artist and entrepreneur Isidra Castro. The shop opened to meet the demands of Anchorage’s many tattoo fiends. It seems the city’s legendary Anchorage Tattoo Studio is booked months in advance and those people who just aren’t willing to wait are forced into scuzzy shops with alleged dubious health standards. The Inked Monkey has been given the thumbs up by local tattoo artist Matt Wasdyke, who called the it “one of the nicest shops I’ve ever set foot in.” So if you’re in Anchorage, head on over and check it out.